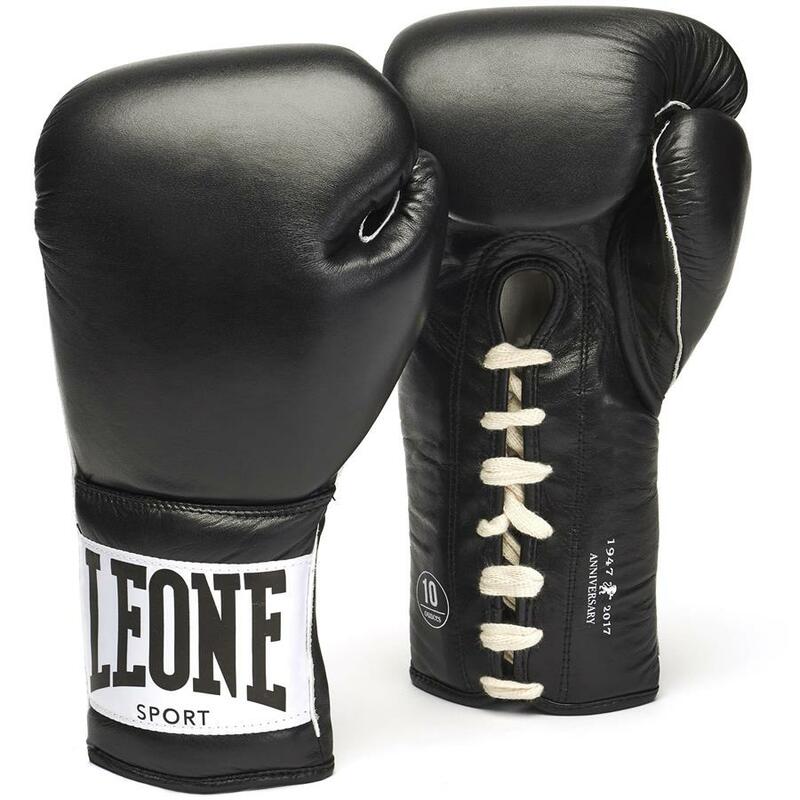 The GN100 were created to celebrate the 70th anniversary of Leone 1947 and pay homage to the most classic of protections, with a look strongly linked to the gold age of boxing. 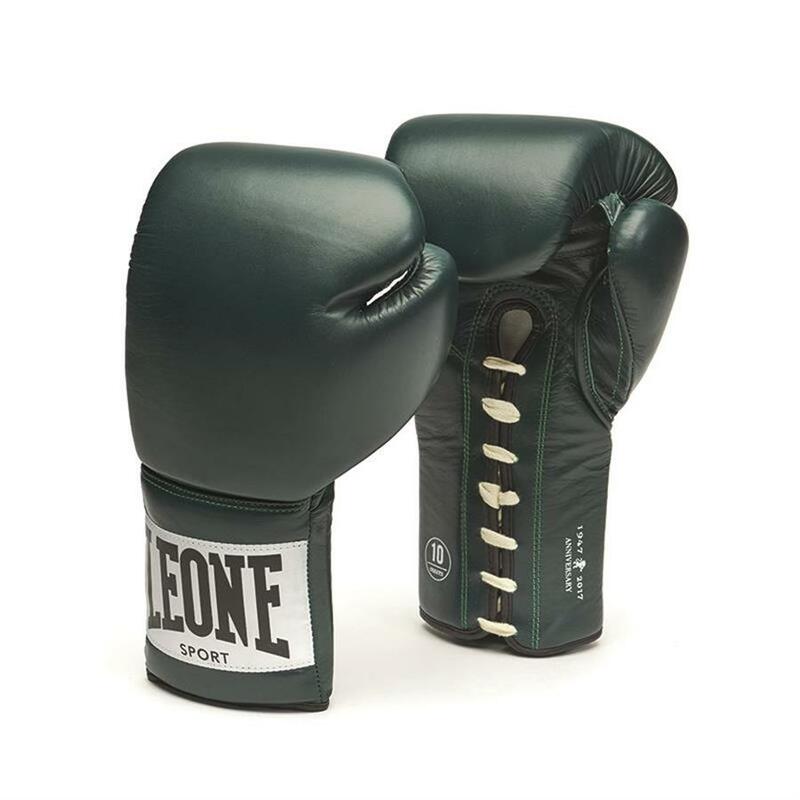 With strong vintage flavour, they have flat laces in rough texture like those of time ago, with a central junction in the middle of the sleeve to facilitate the closure and provide an even more tightened hold. 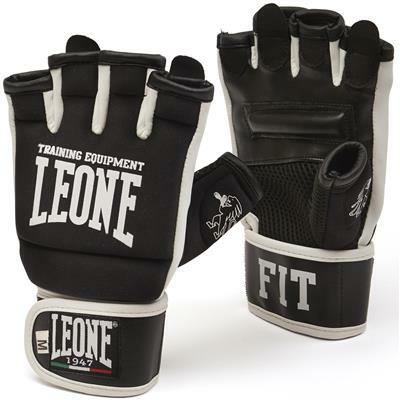 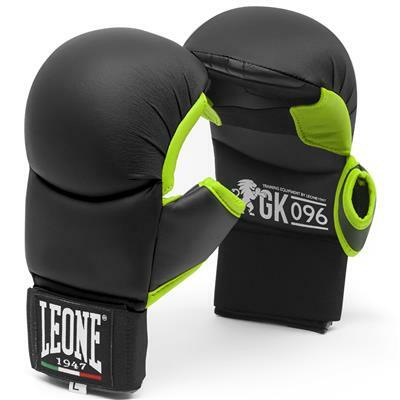 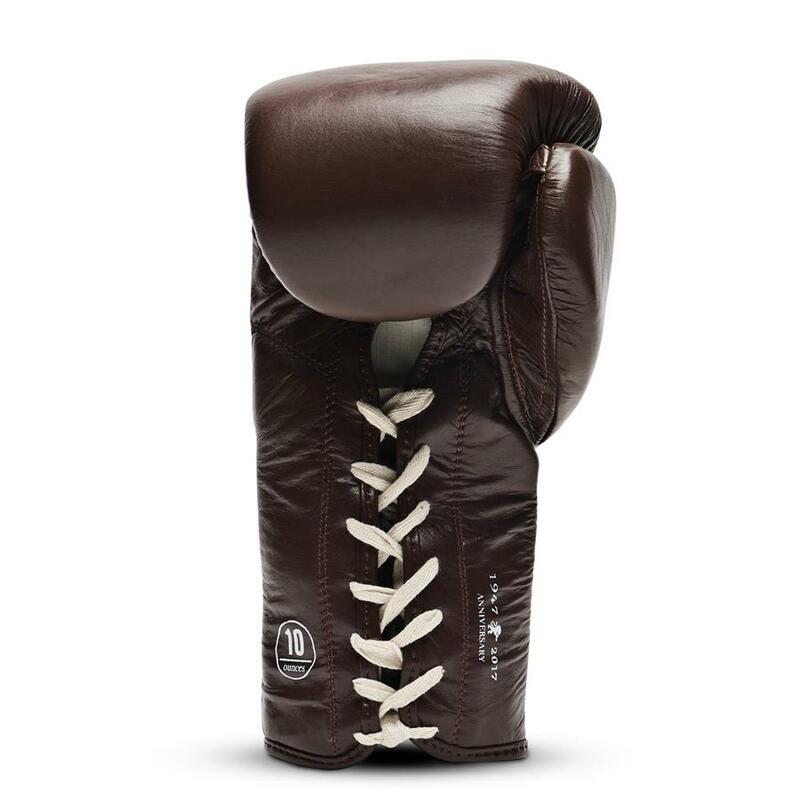 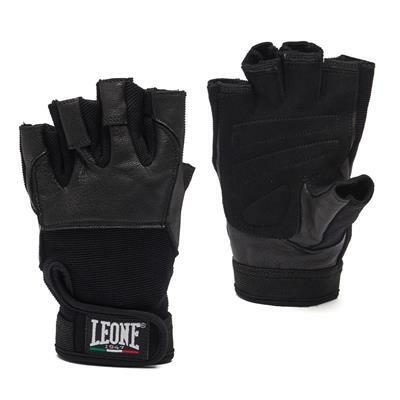 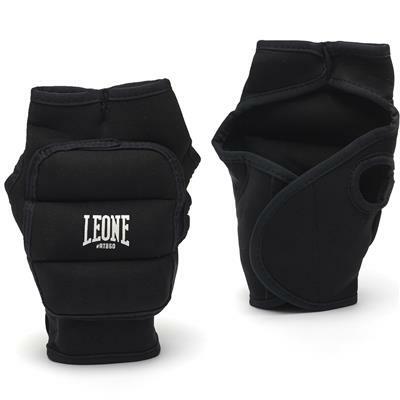 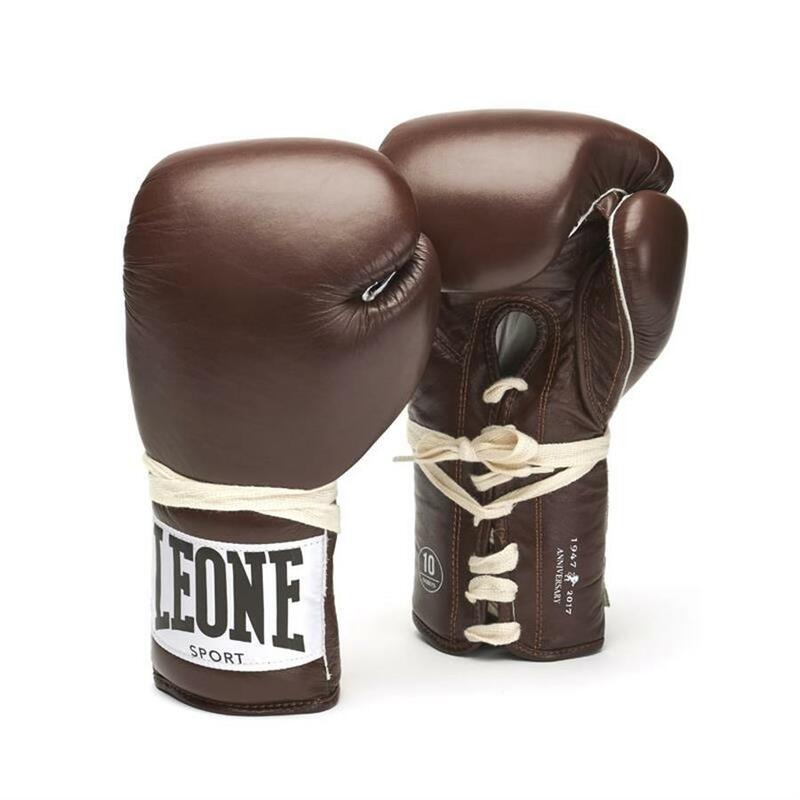 Perfect mix of historic and modern elements, the Anniversary boxing gloves represent one of the top of the LEONE’s collection, thanks to bovine full-grain leather and to the open-cell foam padding, which guarantees perfect shock absorption and the best comfort. 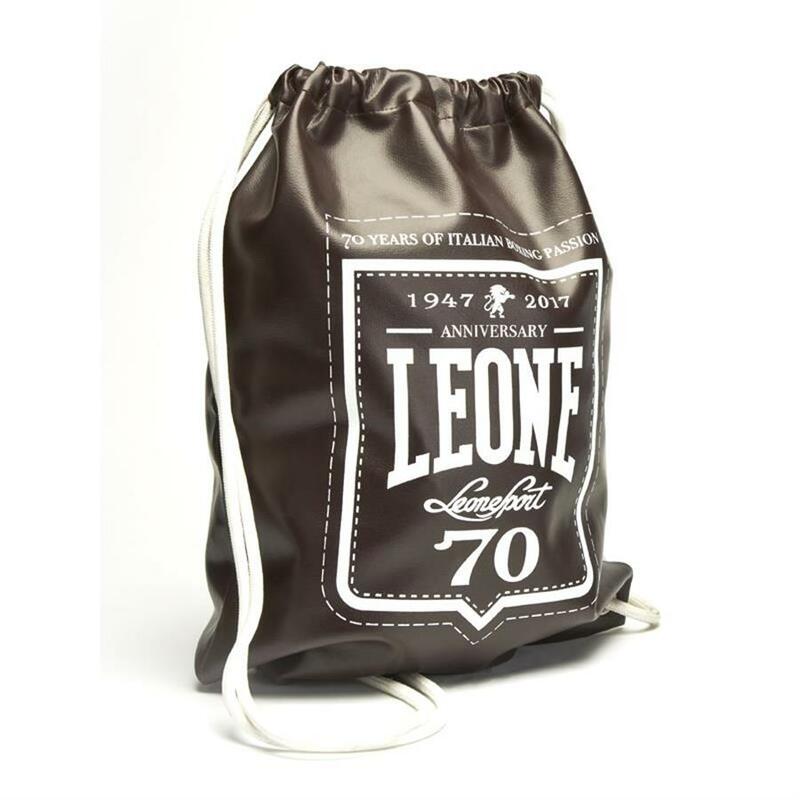 The lining made in non-allergenic natural cotton and the classical satin label make them a proper cult object for fans of the noble art.They are offered to public into a special celebrative bag for free.